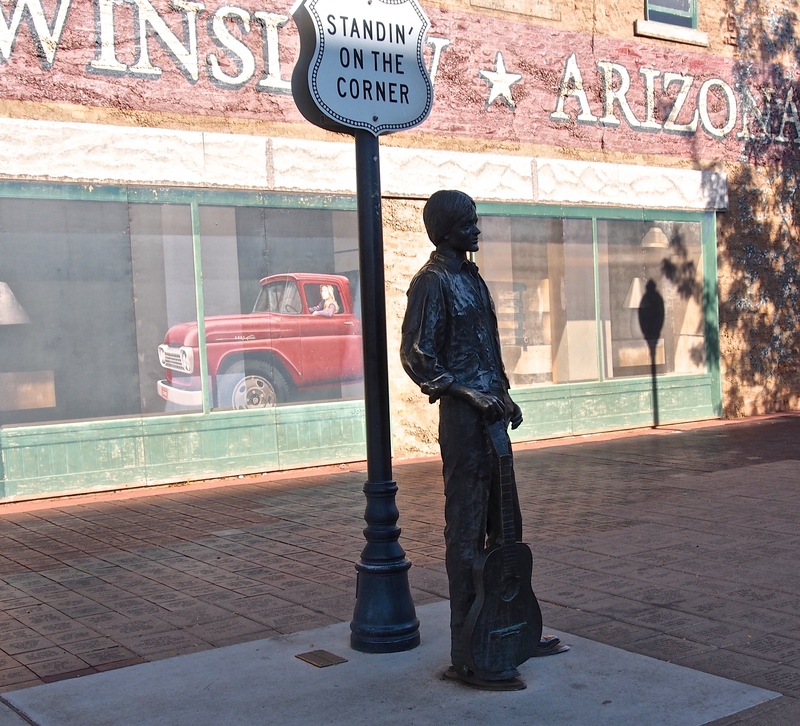 Winslow, Arizona was a drive-by for me in 2007. 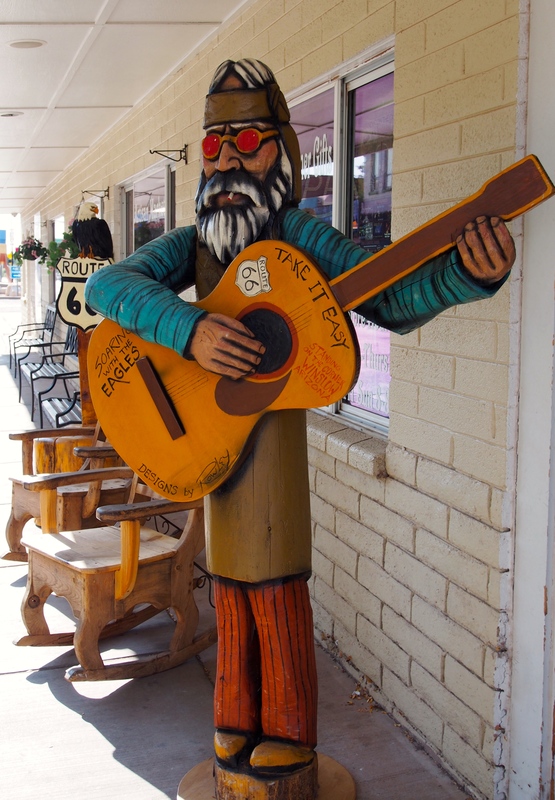 I drove into town, saw the famous corner and the bronze statue and kept right on driving. As I remember, I was heading for a job in northern Arizona. No time to stop. no time to linger, no time to reminisce. Rolling on ahead to 2017, I am once again heading west to another job. The difference is this time I am making time to linger; to reminisce; to enjoy the journey. If you are a fan of the Eagles and even if you are not, you will probably remember the song, Take It Easy. It’s a song of hope and possible salvation ~ a guy standing on a corner in Winslow, Arizona and a girl in a flatbed Ford slowing down to take a look…. I got my pic taken on that street corner. .
An American pilgrimage ~ would love to see your photo ~ is it on facebook?